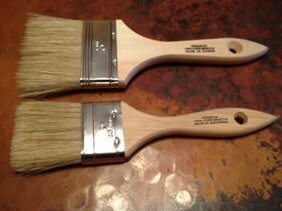 These brushes are natural bristle and are of higher quality than the cheap hardware store brushes—they are extra thick and shed a lot less. We use this size for dry brush, wash, and blend techniques and it can also be used for dark wax since a longer looser bristle helps the dark wax glide quickly across your clear wax layer. 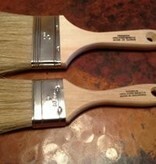 We recommend getting a few of these brushes in different sizes. Wash them in our Big Fat Lye soap and they'll get even nicer with use! 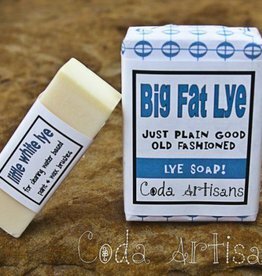 A smaller version of our Big Fat Lye soap. We highly recommend using this on all your brushes. Cleans and Conditions your natural bristle paint and wax brushes safely and easily in one step to keep them at their best through all your projects.